People in St. Thomas looking for grant dollars for special projects came together Wednesday. In the four hour long meeting, community groups shared their proposals to better the community. Ideas like after school programs and new community centers were presented to the board of the Virgin Islands Housing Finance Authority. The VIHFA is the administering agency for the Community Development Block Grant. The hearing was open to the public as they need their input for the projects. 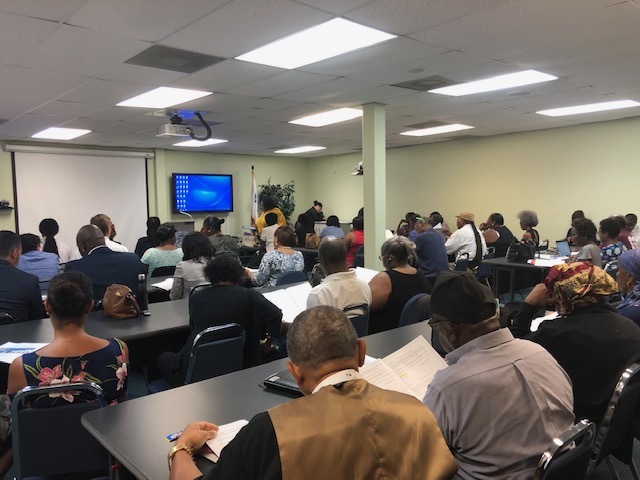 The VIHFA hosted one public hearing Tuesday in St. John and another on Wednesday in St. Thomas. There’s a total of 56 applications totalling over $11 million dollars. VIHFA said they only have $1.9 million in grants, making the competition extremely tight. The next and final hearing is Monday in St. Croix. Then the VIHFA evaluates the applications, presents those selected to the board.They will have a second public hearing tentatively in July. Those awarded the grant will be notified in the winter, and be on track to receive the grant dollars in 2020.